One of the most remarkable turn-arounds in development occurred in the last decade in many of the countries south of the Sahara. Economies have been growing even in the face of economic and financial instability elsewhere in the world; poverty has fallen and child mortality has dropped considerably, among the most visible indicators of progress. But the number of people suffering from undernourishment (a proxy for hunger) has kept rising. There are several reasons to be optimistic about Africa despite the fact that hunger remains pervasive. 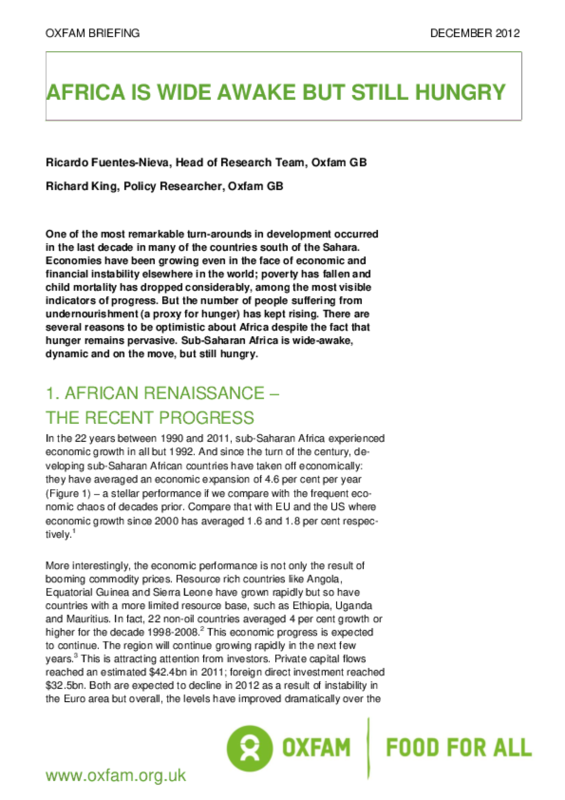 Sub-Saharan Africa is wide-awake, dynamic and on the move, but still hungry.